A Poi lesson , body movement and coordination class. 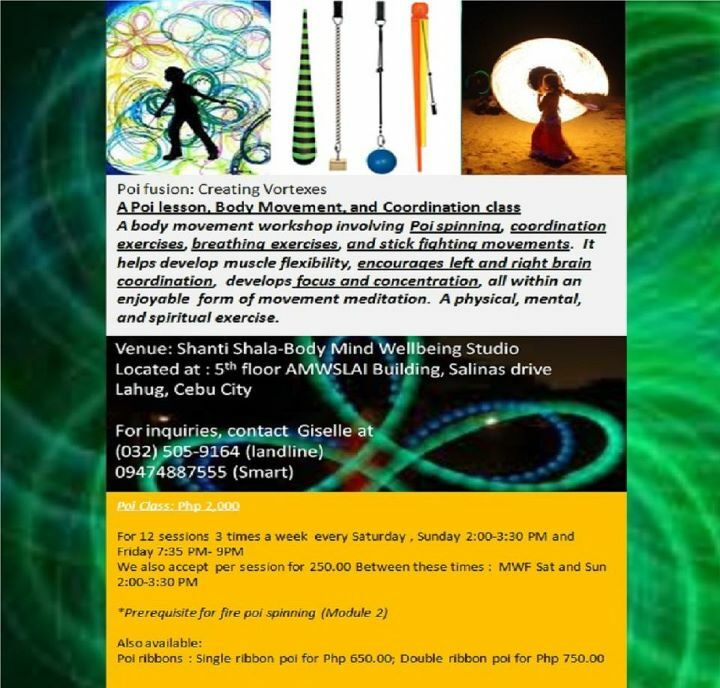 A body movement workshop involving Poi spinning, coordination exercises, breathing exercises, and stick fighting movements. It helps develop muscle flexibility, encourages left and right brain coordination, develops focus and concentration, all within an enjoyable form of movement meditation. A physical, mental and spiritual exercise. As a performance art, poi involves swinging tethered weights through a variety of rhythmical and geometric patterns. Poi artists may also sing or dance while swinging their poi. 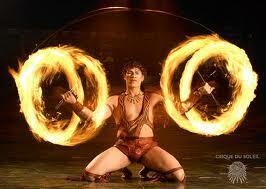 Poi can be made from various materials with different handles, weights, and effects (such as fire). Poi originated with the Māori people of New Zealand, where it is still practiced today. Poi has also gained a following in many other countries. The expansion of poi culture has led to a significant evolution of the styles practiced, the tools used, and the definition of the word "poi." 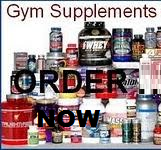 09228946613 (Sun)You may visit the Facebook thread and comment, click here. Everyone is welcome to join, please bring your friends!